School starts in two days. 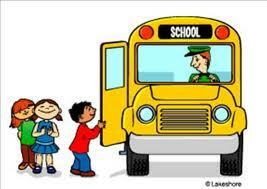 AJ has had a fascination with school buses for the past several years. So the first day of school is exciting for him for all kinds of reasons. His favorite You Tube videos are of school buses. If you search for "first day of school," you'll find dozens of videos of kids' getting on the bus. Lately I've even seen him watching technical videos that look like they are advertisements or promos of some sort, for school bus manufacturers. They go through the bus, highlighting all the details and special features. But, the bus doors opening and closing - that's the best part. He'll replay the few seconds of the door opening and closing over and over. So getting AJ onto and off of the school bus every day is a bit of a challenge. Because he wants to open and close the doors really, really bad. I'm mentally preparing myself for the routine we followed last year. He gets on in the morning without too much trouble. Sometimes he stops, grabs the door handle, and yanks it back and forth. But most of the time he's able to keep going and sit in his seat. Getting off the bus after school is much more difficult. Both the bus driver and I have to be ready to block AJ from grabbing the handle and slamming the bus doors open and closed. We get Zack off first, because Zack is the one I can trust to get right off the bus and go straight into the house. Zack's got a mission, and that is to drop his backpack and jacket, find the iPad and begin playing Super Why as quickly as possible. Then we brace ourselves and AJ is released from his seat belt. He jumps up and runs for the door handle. I mean, barrels past the bus driver and I. Usually one of us catches him and blocks him. I hold both his arms and walk him toward the door, and since he can't get his arms free he'll reach over with his foot, and try to push the handle that way. Quite determined, the boy is. Sometimes, if we aren't quick enough (or if I'm distracted because Zack broke his routine), he'll sit in the bus driver's seat and push buttons and pull levers. That's the real danger. Opening and closing the door is pretty harmless as long as no one is standing there, but he could cause real trouble in the driver's seat. The bus driver for summer school was really good about letting AJ open and close the doors a couple of times when he got off. I hope the new driver we get next week is just like that. And as long as we make sure no one's in the way and he can't get to any of the other bus controls, what's the harm in letting him? Hi there. Nice to meet you and thanks for stopping by my blog. Here is a link to some funny wheelchair stickers similar to the one Cooper has on our car.